Home Matchday Match Reports OH WHAT A NIGHT! Avram Grant finally achieved what José Mourinho never could, as he guided Chelsea to the UEFA Champions League Final, after a pulsating 3-2 victory in the second leg of the semi final against Liverpool, at a packed Stamford Bridge. Didier Drogba scored twice, whilst Frank Lampard scored a penalty that will go down in Chelsea history, the goal dedicated to his late mother. Fernando Torres and Ryan Babel were the scorers for Liverpool, but for them, it was not to be. Florent Malouda and Paulo Ferreira were dropped from the side that started the first leg, in the case of the latter, from the squad entirely. Lampard started in midfield, with Essien returning at right back. Salomon Kalou was preferred to Malouda on the left of the attack. John Arne Riise was the replacement for the injured Fabio Aurelio on the left of the Liverpool defence, whilst Benitez sprung a surprise, starting the Israeli midfielder, Yossi Benayoun in place of Ryan Babel. The pitch was soaked due to the incessant rainfall around the stadium, which added plenty of zip to the turf. Drogba showed this in the fifth minute as his skidding shot was saved by Reina in the Liverpool goal. Four minutes later, Chelsea keeper Čech making an altogether classier save, as he fabulously denied Torres’ left footed shot. Didier Drogba spurned the best opportunity of the game so far, after Lampard played the Ivorian forward in. His pace was too much for Carragher, but his left footed strike rolled despairingly wide of the far post. Soon after, Michael Essien tested Reina with a powerful long range drive that the keeper held comfortably. Midway through the first half, Sami Hyypia replaced the injured Martin Skrtel, but it did little to curb Chelsea’s attacking energy, as the Blues knocked the ball around with increasing confidence. Makelélé was at his industrious best in midfield, whilst Frank Lampard dictated the tempo of the match from a deeper position. Michael Ballack was outstanding with his classy touches and brilliant vision, from the most advanced position in the midfield. It was the German who next tested Reina, his 30 yard strike uncomfortably fisted clear by the Spaniard. However, in the 32nd minute, he was to be beaten. Lampard’s fantastic pass picked out Kalou, who ran at and beat Hyypia. Kalou’s shot was palmed away by a diving Reina, only for Drogba to follow up and emphatically smash the finish past him, the celebratory dive aimed at Rafa Benitez following his comments earlier in the week. It was advantage Chelsea. A few minutes before half time, Ballack almost capped off a brilliant individual performance with a goal, only for his curling free kick to miss by a matter of inches. Liverpool started the second half with their tails up, and almost equalised within two minutes. Dirk Kuyt stuck a toe out at a Gerrard knock down, but the brilliant Čech was equal to the task as he reacted quickly to save with his outstretched foot. Lampard volleyed straight at Reina soon after, but it was the visiting side who had most of the attacking momentum. This translated into the equalising goal on 62 minutes. Benayoun finally made a positive impact on the match, cutting in from the right, before sliding a pass through to Torres, who finished with aplomb. He joins Bruno Cheyrou on the list of recent Liverpool goalscorers at Stamford Bridge. Florent Malouda replaced Kalou, who had done a decent job up until then, as Grant looked to stretch Liverpool. A superb charge forward from Essien nearly resulted in a goal, but his shot hit the side netting. Jermaine Pennant replaced Benayoun, but the game was devoid of any real chances as the clock hit 90 minutes. Extra time was to be the decider. Anelka replaced Joe Cole at the start of the first half of extra time. It was all Chelsea. Drogba was denied by a fabulous challenge from Carragher after four minutes and from the resulting corner, Anelka’s blocked shot came out to Essien, who blasted the ball into the top corner, only for the assistant referee to rule that Chelsea’s three offside players had impeded the goalkeeper. It was a tough decision and harsh on Essien, whose finish was superb. However, within a minute, Chelsea had a chance from the spot, after Hyypia clearly fouled Ballack. This time though, it wasn’t the German, but Frank Lampard who stepped up. With the focus of a true master, the Chelsea hero slotted the penalty past Reina and raced to the corner flag, partaking in one of the most emotion celebrations Stamford Bridge will ever witness, as he kissed the black armband worn in memory of his mother, before planting another kiss on the Stamford Bridge turf as the tears flowed. He then blew a kiss to his father, watching on in the grandstand as ever. Chelsea continued to boss the match, and at the end of the first period of extra time, put the tie beyond doubt. Malouda released Anelka down the right, the Frenchman showing the awareness to pick out Drogba, who finished with aplomb to send Chelsea to Moscow. Stamford Bridge was rocking. Liverpool vainly tried to get back into the match, and may have found a lifeline when Babel’s speculate effort was parried into the net by Čech, but there were no more scares. Lampard was replaced by Shevchenko, as Grant allowed the home crowd to show their full appreciation to a true Chelsea legend as he departed the field, and soon after, Signor Rosetti blew full time, after 120 minutes of the titanic struggle. 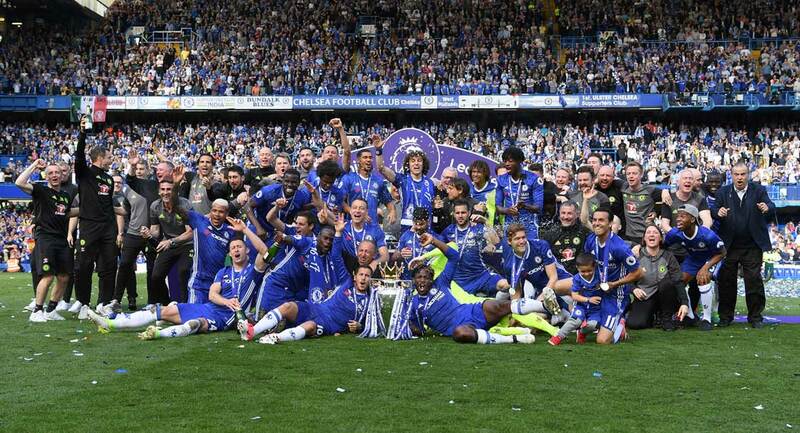 On May 22, Chelsea will take on Manchester United in Moscow, the winner earning the title of Champions of Europe. For Avram Grant, it may just be enough to prove himself, finally, the right man for the job. Chelsea (4-3-3): Čech; Essien, Carvalho, Terry (c), A Cole; Ballack, Makelélé, Lampard (Shevchenko 118); J Cole (Anelka f-t), Drogba, Kalou (Malouda 69). Liverpool (4-2-3-1): Reina; Arbeloa, Carragher, Skrtel (Hyypia 21), Riise; Alonso, Mascherano; Kuyt, Gerrard (c), Benayoun (Pennant 77); Torres (Babel 97). Referee Roberto Rosetti of Italy.